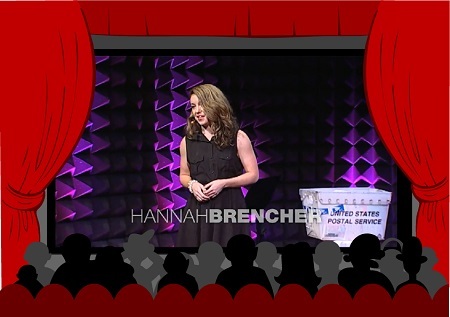 You can learn English by listening to interesting TED Talk videos like this one by Hannah Brechner, who started writing hand-written letters to strangers when she was in college. It's hard to remember, isn't it? There's a wonderful feeling to receive a real letter in the mailbox that is addressed to you and HAND-written in ink. In today's fast-paced world, most of us only get junk mail and bills in our mailboxes or perhaps a birthday or holiday card a few times a year. If this is your first TED Talk lesson, please read these instructions to understand how you can learn English by listening to this video. It provides information about the subtitles, transcript and quiz. If you've been here before... grab a bowl of popcorn and enjoy the show!! Click below on the arrow to watch the video. These TED Tuesday lessons will help you learn English by listening to short videos. I recommend you watch the video twice. First watch the video to understand the overall meaning. Then review the new vocabulary and expressions. Watch the video a second time and you will be able to hear some of these new expressions. Step 1: Watch the video above. Step 2: Read the transcript or watch the video with subtitles. Definitions of some of the new words are given. There is a transcript (in English) and subtitles for many languages. Step 3: There's a SHORT quiz (5 questions) to test your understanding. Click below to get the entire transcript (this is just part of it). I was one of the only kids in college who had a reason to go to the P.O. box at the end of the day, and that was mainly because my mother has never believed in email, in Facebook, in texting or cell phones in general. And so while other kids were BBM-ing their parents, I was literally waiting by the mailbox to get a letter from home to see how the weekend had gone, which was a little frustrating when Grandma was in the hospital, but I was just looking for some sort of scribble, some unkempt cursive from my mother. And so when I moved to New York City after college and got completely sucker-punched in the face by depression, I did the only thing I could think of at the time. Click here for the full transcript and instructions for how to view the video with English subtitles or a translation in your language. If you want to learn English by listening you should test your understanding of the talk. It's a short quiz and no one will know your score but you! Hannah has set up a website - The World Needs More Love Letters - that helps strangers connect around the world through letter writing. Why not write a letter to someone and practice your English? You can also watch this video on TED's website. PS - Want updates and special lessons? Sign-up for my FREEE newsletter. 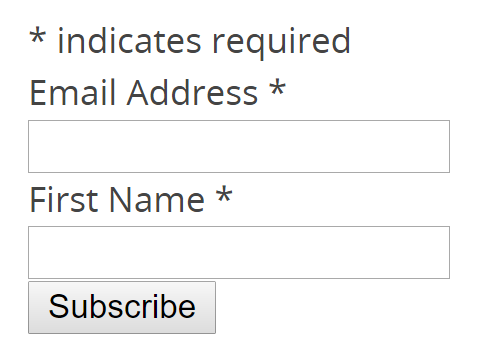 Just enter your email in the form!